Circle A’s total operation encompasses over 28,000 acres and near 8,000 breeding females. 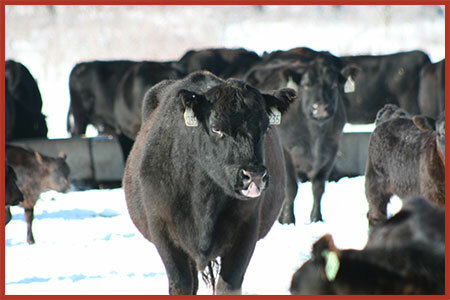 After more than a quarter century of measuring and testing beef genetics, Circle A has done more than any beef seed stock operation in the world to accurately describe genetic differences for both output and input costs and develop a true profitability index. The most profitable cows are mated to highly-proven sires, producing the kind of seed stock that Circle A desires to use in their own commercial herd. Circle A’s commercial roots keep their finger on the pulse of the commercial man’s needs, and results in cattle that are not only top of the line genetics, but with built in functionality, productivity and longevity. 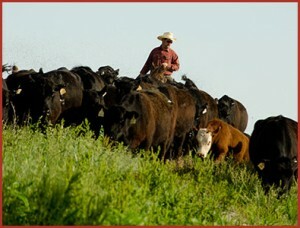 The cow herds operate in forage-based production systems averaging about two acres of primarily fescue grass per cow. The cattle are required to breed and wean a respectable calf with minimal supplementation, or face being culled without exception. Running about 500 cows per man, necessity traits are closely monitored and cows are strictly culled leaving no room for inferior udders, bad feet or poor temperaments. The Circle A database is what makes every proprietary development and profit-driven management decision at Circle A possible. Without the millions of dollars invested in data collection and analysis, none of what Circle A does would be possible. Our database consists of over 200,000 individual weight records, and over 100,000 carcass and ultrasound records. But, it is our 40,000 heifer AI records, 30,000 cow stayability records, 3,800 shear force and 5,500 individual feed intakes that have allowed us to go where no other genetic supplier has gone; developing proprietary profitability indexes that account for both sides of the profit equation. While this may not be the largest database in the beef industry, it is the largest of its kind. The largest collected by a single entity, in a real commercial production environment, absent of prejudice and bias to get at the heart of what we all want – genetics that produce sustained profitability. Our database played a very large role in our decision and ability to produce solely Circle A Premium Bulls (CAPB). While CAPB Bulls may not come with a registration paper from a breed association, we believe they are backed by something even more meaningful and applicable to commercial cattle – the Circle A Database. We are extremely comfortable with the quality, integrity and value of the data that goes into the Circle A system. The principle of the Circle A breeding program is to identify which cattle work in our environment, thus creating greater profits and then multiply those genetics for ourselves and our commercial customers. Our passion in seeking this truth prohibits us from artificially reporting or creating bias in the data. We have nothing to gain by creating bulls that are good on paper only to be later proven disappointing compared to their advertised hype. Believe it or not, not all seedstock producers share this same goal. Many are willing to put their reputation at risk for short term gains by intentionally or subconsciously biasing data to make certain cattle appear more genetically superior than they are. We have no desire to comingle our data in such a system and use potentially inaccurate genetic values as a result. Another great value of the Circle A Database is the genotype by environment interaction that it represents. While difficult to account for in a typical genetic analysis, different genetics are better suited to various environments and therefore have different genetic values depending on where and how they are used. For example, even a high accuracy AI sire, proven to have superior growth in Montana, may sire progeny in Texas that do not live up to his reputation and EPDs. Or, a sire known for producing beautiful daughters in a high-input, show-type environment, may sire daughters too hard doing with lower than average fertility in a real commercial setting. All the data going into the Circle A Database was collected in a real world commercial setting, make it directly applicable to us and our commercial customers. It was also collected in a fescue-based grass environment. Challenges with fescue grass has been shown to suppress weights and reproduction rates, cattle that do well here, do even better in a wide array of environment from coast to coast and border to border. For those producing in a fescue environment, you can rest assured Circle A genetics and the data behind them make them highly acclimated to your environment. Our cows work for a living and our bulls are built to last. We develop our bulls slowly and cull them stringently. We market 450 bulls annually at our two bull sales on the third Saturdays in March and October. We also market 450 bred heifers at each of these sales. They are sold in lots of five head, ultra sounded to calve within 10 days of one another and fetal sexed. Both the bulls and heifers are a great way to inject proven, profitable genetics into any commercial herd. 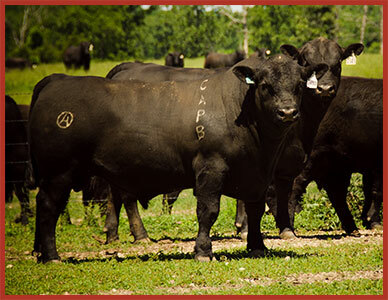 This level of profitability-proven, data-driven genetics can only be found at Circle A Angus.